Earlier this summer, Patrick filmed the role of Moltby in post WWII spy thriller JERUSALEM directed by Alex Winckler for Twenty Twenty Television. He was most recently seen as Timothy Howell in Kieran Fitzgerald’s thriller SNOWDEN starring Scott Eastwood, Nicholas Cage, Joseph Gordon-Levitt and directed by Oliver Stone for Endgame Entertainment. He will next appear in WE ALWAYS LIVED IN THE CASTLE directed by Stacie Passon for Further Down Films and Dicken’s bio drama THE MAN WHO INVENTED CHRISTMAS directed by Bharat Nalluri for Mazur / Kaplan Company. 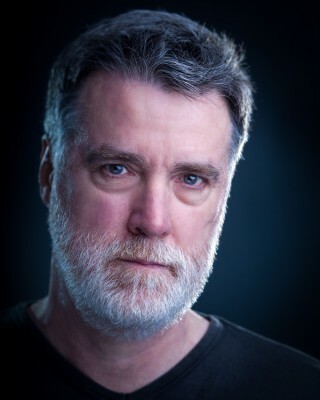 Other television credits include Season 3 of PENNY DREADFUL directed by Damon Thomas for Showtime, THE JOURNEY directed by Nick Hamm for Greenroom Entertainment, FOYLE’S WAR directed by Stuart Orme for ITV and LOVING MISS HATTO with Alfred Molina and Francesca Annis for the BBC. On stage, he played The Mayor and Stone in the world stage premiere of THE SHAWSHANK REDEMPTION at the Gaiety Theatre. He worked at the Gate Theatre playing Lars in FESTEN directed by Selina Cartmell, Louis in A VIEW FROM THE BRIDGE with Chris Meloni and Baylen in David Mamet’s modern classic GLENGARRY GLEN ROSS. Patrick received rave reviews for his depiction of Juror #12 in Reginald Roses’ 12 ANGRY MEN at Andrews Lane, the production subsequently transferred to The Gaiety, The Olympia and toured nationwide to critical acclaim. Previous screen work includes LAW AND ORDER SVU, DONNIE BRASCO, SABRINA, PRINCE WILLIAM and THE DEVIL’S OWN directed by Alan J. Pakula. More recently, Patrick appeared in Sydney J Bounds science fiction thriller LAST DAYS ON MARS directed by Ruairi Robinson for Fantastic Films.